Kalea says she got the Autobot emblem because she loves the Transformers. 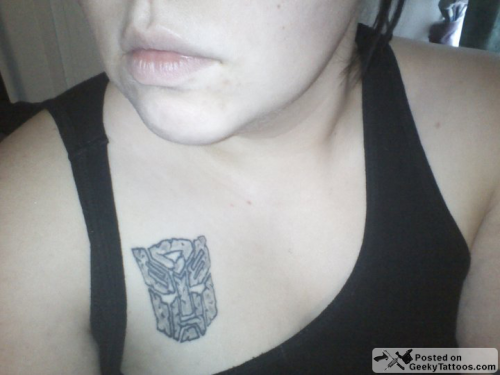 She says it’s the start to a larger Transformers chest piece. Here’s hoping she she doesn’t get Michael Bay to design it! Tattoo by Twisted Ink in Alvarado, TX. Posted in Tattoos, Transformers, TV. Tagged with Autobot, Transformers, Twisted Ink.